Tuesday, March 19th faith leaders, family members of murder victims, criminal justice experts, and death row exonorees met with Florida state legislators to discuss why Florida should abolish the death penalty. You can help support these efforts by contacting your legislators now and asking them to co-sponsor two death penalty repeal bills that have been introduced in Florida's 2019 legislative session: House Bill 6013 and Senate Bill 472. 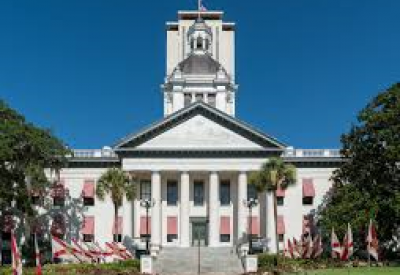 Click here to contact your Florida legislators today! The death penalty does not serve as a deterrent, it risks innocent lives and costs tax payers millions of dollars more than life without parole. More importantly, it is an egregious act against the dignity of the human person and is against all pro-life values. CMN is calling on people of good will to voice their support for death penalty repeal legislation. We invite you to support the legislation to end capital punishment by submitting a letter to your elected officials and asking them to co-sponsor these legislative efforts. We must work so that all life is respected! We invite you to voice your support to end the death penalty, with this prepared letter, and demand that the state of Florida respect the dignity of all life. You are encouraged and welcomed to customize this letter.